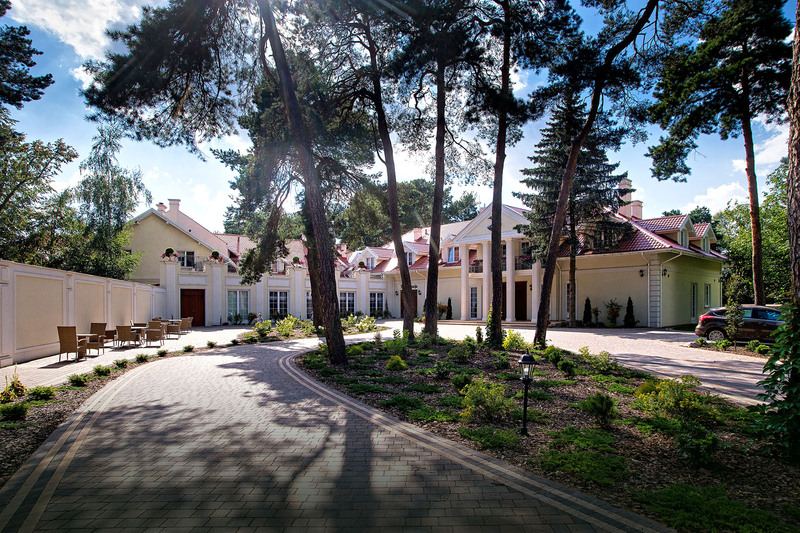 The Baśniowa Hotel and Restaurant in Rybienko Leśne is a modern and attractive facility, located near Warsaw, which has built a strong reputation over the years. 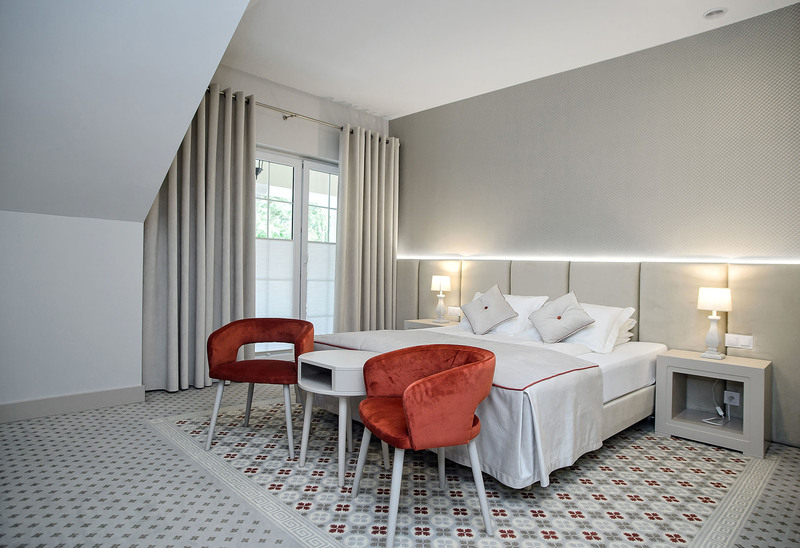 The Baśniowa Hotel provides the highest quality of services and comfortable interiors. The complex consists of a hotel and restaurant, banquet rooms, conference rooms, a relaxation and resting area, a summer garden, and a park. 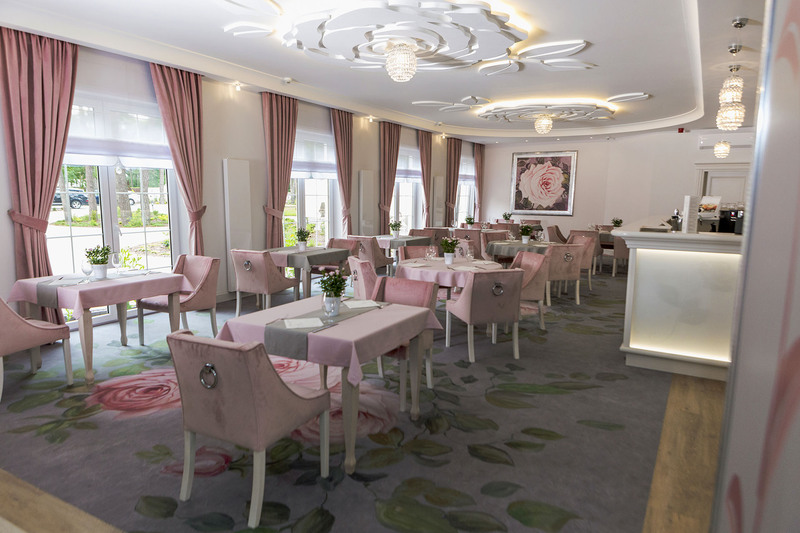 Baśniowa provides services in the organisation of special events and banquets, conferences and training courses, hotel and restaurant services, as well as catering services. 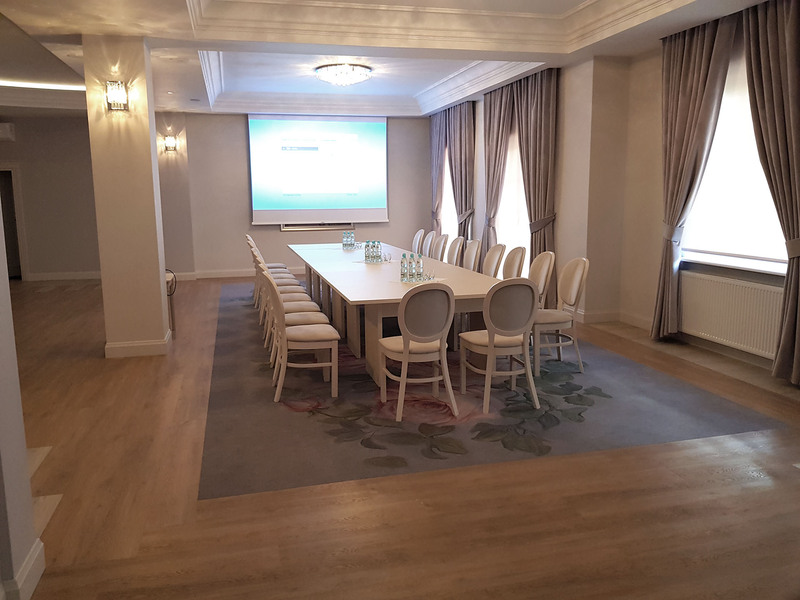 The hotel is situated less than 50 km from the capital, near the S8 route, within a reasonable distance from Warsaw’s airports (Modlin, Okęcie) and railway stations (Rybienko Leśne, Wyszków). Baśniowa is easily accessible and at the same time surrounded by beautiful nature. It is located in the charming district of Wyszków, Rybieńek Leśny, which is known for its pre-war guesthouses and recreational facilities, and its picturesque landscape of pine forests and the Bug River. Baśniowa is surrounded by a beautiful park, and a summer garden is at the guests' disposal. Baśniowa is a family business with a long tradition. For twenty years, we have specialised in the comprehensive organisation of weddings, banquets and special events. 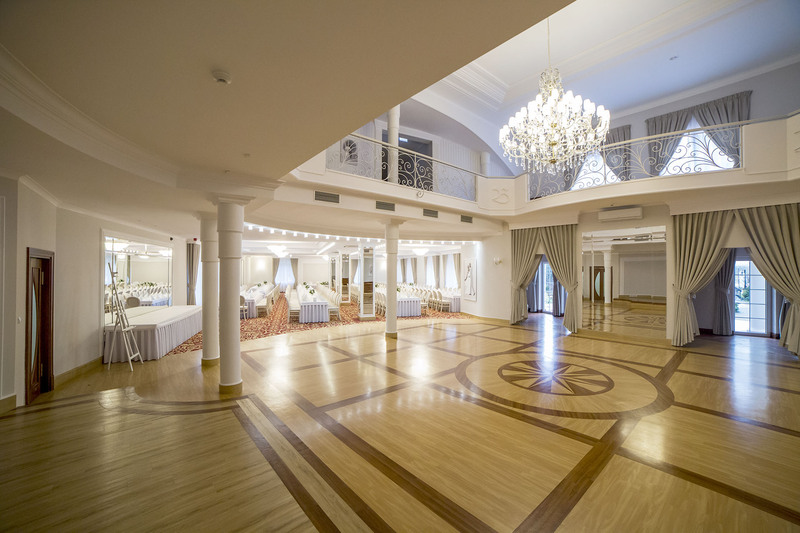 The banquet hall is a separate facility from the hotel and restaurant. Baśniowa has extensive experience in organising conferences, seminars, training courses, various events - also in the open-air format. We provide comprehensive and professional catering services. The training and tourist offer also features a relaxation and entertainment zone (saunas, fitness, a games room, outdoor attractions). Rybienko Leśne has a long and beautiful tradition of a holiday and villa settlement with a special atmosphere. Pre-war Rybieńko was famous for its attractive villas, guesthouses, as well as its cultural and tourist life. Frequently visited places included the beach by the Bug River, the casino, and the tennis courts. In the summer there were parties, and car and horse shows. It was a place of rest and relaxation. Baśniowa is involved in numerous charitable and social projects, including our annual Christmas Eve meeting for beneficiaries of the OPS social care programme. We also organise a carnival party in cooperation with OPS. We believe that good deeds always come back. Many of our employees have been with us since the beginning of our company's existence. We have great respect and appreciation for them, they are the heart of Baśniowa. We regularly hire new people for whom cooking, hospitality, organising parties, and tourism are a passion and a way of life. We have been cooperating with many local companies for many years. Baśniowa works with reliable suppliers and focuses on building strong partnerships. We strongly recommend the services and products of our partner companies. Each of our guests is unique, but we are also visited by many artists, athletes, and celebrities. We do everything to make sure that Baśniowa is a memorable, top brand. We constantly refine and improve everything, including the smallest details.